PALEO JAY SMOOTHIE CAFE: Free Shipping on a new Vitamix! Best Deal Going! You'll notice I have a banner ad explaining this, off to the right side of my blog, but I thought I'd go into a bit more detail. If you've followed my blog, or read my eBook Paleo Quick Start, you know how much I love the Vitamix! It is a machine that can, and will, if used transform and maximize your health. From the benefits of eating raw foods with their accompanying enzymes and micro-nutrients, to incorporating fermented foods easily and efficiently into your diet, this machine is a dream. By making a Paleo Smoothie in your Vitamix, most of your nutritional battle is already won! It pulverizes the cell walls of the fruits and vegetables you put in it, making all of the nutrients immediately available to your body. And, it all comes in an easy and pleasant beverage form, that completely satisfies your hunger, and satisfies all of the nutritional needs of your body. The easiest way by far to "go Paleo", and the thing will last virtually forever- your grandchildren will thank you for your Vitamix. Any Vitamix qualifies for the free shipping- even reconditioned ones, which are a great deal! Vitamix does not do coupon codes, or anything of that sort. I have arranged with them to offer my readers free shipping. This is a $25-$35 discount, and the best there is on the internet, or anywhere else. In addition, if you call Vitamix directly at 1-800-848-2649 Ext. 2316, ask for Janet & mention code 06-007058 -I will send you my eBook "Paleo Quick Start" for FREE! You can also click below to order direct from Vitamix online- you'll get the free shipping, but not the eBook, since I have no way to track online orders. So, take advantage of this offer! 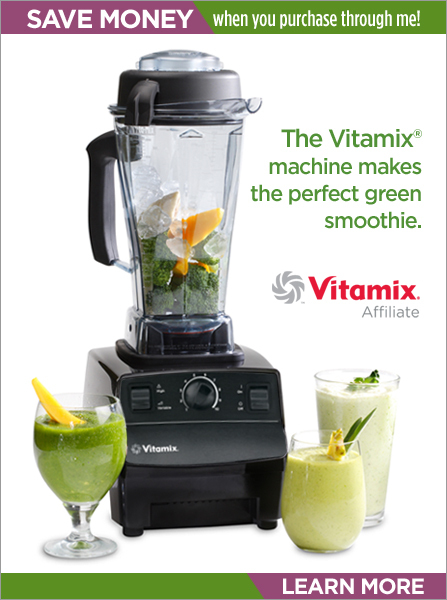 Choose your Vitamix, call Janet and your Vitamix will be shipped immediately, direct from the Vitamix Company! Click HERE: Free Shipping on a new Vitamix!